Full disclosure: this is one of the very few pages we didn’t actually write on our website. This information was provided to us for use on the site so we included it in case someone needed or wanted it. Please call us if you have any specific questions. As part of the closing process, you’re likely to sign numerous affidavits. You may be required, for example, to sign an affidavit of occupancy. It states that you will use the property as a principal residence. Or, you and the seller may have to sign an affidavit stating all of the improvements to the property required in the sales contract were completed before closing.Your lender can provide additional information regarding any of these documents you will sign. These change orders are considered discretionary and must first be approved by your lender. You must deposit additional funds to pay for the work in the escrow account before work on the changes begins. These change orders — as well as any that result from unforeseen repairs — must be added as amendments to your construction contract. You may be able to move up the time frame for your closing by working with a lender who uses Desktop Underwriter®– our advanced automated underwriting system — because it can cut the time it takes to process your mortgage. Remember, you need to ensure that the closing occurs before your lender’s commitment letter — and the rate lock-in, if there is one — expire. You can now finalize your moving plans. Don’t be surprised if the seller includes a clause in the contract that states you must make a “good-faith effort” to get the mortgage. This is the seller’s way to ensure that you explore all options to get a mortgage loan. In some states, a “deed of trust” is used instead of a mortgage. When homeowners sign a deed of trust, they receive title to the property but convey title to a neutral third party — called a trustee — until the loan balance is paid in full. Desktop Underwriter is Fannie Mae’s innovative, computer-based, automated underwriting system. After you complete a loan application with a Fannie Mae-approved lender, your loan will be underwritten — using Desktop Underwriter — by the lender. Underwriting is the process used to determine whether borrowers can afford the mortgage payment on the loan for which they are applying and their ability to repay the mortgage on a timely basis. In the past, underwriting was a manual process. An underwriter would review the information, analyze the data, and approve or deny the loan. The process typically took between 30 and 60 days. With Desktop Underwriter, the underwriting process can take minutes. Desktop Underwriter automates the process for lenders by requesting information online and then analyzing the borrower’s loan application and credit history data, as well as the property information. Desktop Underwriter performs this objectively and without bias, and returns the results of the analysis to the lender in the form of a recommendation. The lender then uses the recommendation returned by the system to decide whether to approve or deny the loan. Ask your lender if you have the option of paying 1, 2, or 3 discount points — or you can choose not to pay any discount points. It often makes more sense to pay discount points if you plan to stay in your home for a long time. When you select your lender, ask about Fannie Mae’s low down payment mortgages. An escrow account is money that is deposited with a third party — outside the buyer and the seller — to be used to pay various fees. A borrower typically provides funds that will pay taxes, mortgage insurance, lease payments, hazard insurance premiums, and other payments when they are due. This is a fixed-rate mortgage, with terms between 15 and 30 years. It is suitable for borrowers who have limited funds for their down payment and closing costs. Requires a down payment of only 3 percent. Provides expanded debt-to-income ratios. For example, you may use up to 33 percent of your gross monthly income for housing expenses each month (instead of the standard 28 percent) and 38 percent for your total monthly debt expenses (instead of standard 36 percent). You must attend a home buyer education session offered or approved by your lender. To qualify for this loan, you must earn no more than the area median income. There are exceptions to borrower income limits in specified high-cost areas such as metropolitan areas of Boston; New York City; Seattle; Portland, Oregon; Newark, Bergen and Passaic, New Jersey; as well as in the states of California and Hawaii. You must have one month’s mortgage payment, or cash reserve, in your savings account after you go to closing. Can be used with Fannie Mae’s Community Seconds, Community Land Trust, and Lease-Purchase options. A Fannie Mae approved lender will work with you to help you find the lowest cost mortgage for which you can qualify. Fannie Mae has taken a public stance in favor of consumer rights and against any type of predatory lending. 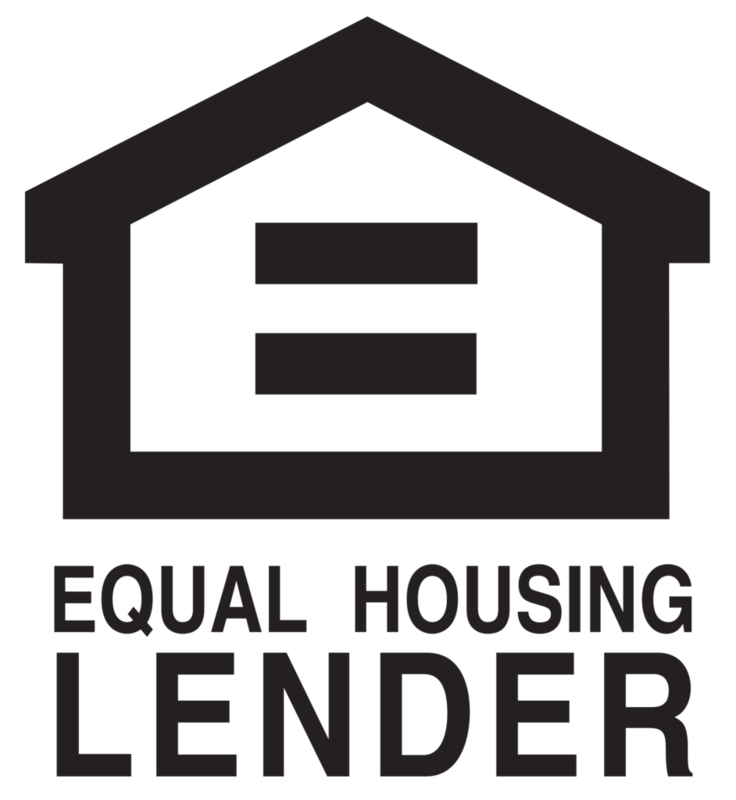 We work with lenders that advance these same rights, not charging exorbitant fees, or steering customers to mortgages that aren’t in their best interests. We also make available to our lenders a set of technology tools, like Desktop Underwriter®, that speed the loan approval process and help reduce its costs. When you work with a Fannie Mae approved lender who uses Desktop Underwriter, you can get your mortgage processed quicker, spend less time on paperwork, and possibly save money in closing costs. So, when you work with a Fannie Mae approved lender, you work with a lender that not only makes credit easier to access and may be more affordable but offers you a streamlined mortgage process. Fannie Mae approved lenders can also offer you the widest range of mortgage products available — no matter what your need. Use our Find a Lender feature to locate a lender serving your area to learn about the variety of Fannie Mae mortgage products available. The current Fannie Mae loan limit for a single-family home is $417,000. * The maximum amount for any Fannie Mae mortgage in Alaska, Hawaii, and the U.S. Virgin Islands is 50 percent higher than our loan limits in the rest of the country. Generally, any mortgage above this limit is considered a “jumbo loan”, and will carry a higher interest rate. The amount of money you would save buying a home with a 30-year mortgage financed by Fannie Mae can range from several thousand dollars to as much as $24,600 over the life of a 30-year mortgage. *The Fannie Mae loan limit is $533,850 for a two-family home; $645,300 for a three-family home; and $801,950 for a four-family home. Fannie Mae works to reduce down payment requirements and cut closing costs when developing mortgage products so more dreams of homeownership can come true. Fannie Mae provides technology tools for Fannie Mae approved lenders to use when providing mortgages to home buyers. These tools can help borrowers get their mortgages quicker and cheaper. Fannie Mae, working with our lender partners, develops and funds mortgages that make it possible for more Americans to own homes. You can find an array of Fannie Mae mortgages, including fixed-rate mortgages, adjustable-rate mortgages, low down payment mortgages, home improvement mortgages, reverse mortgages, special financing mortgages, and others offered through Fannie Mae approved lenders. What distinguishes Fannie Mae mortgages? Simply put — you will pay less. Generally, any mortgage above the Fannie Mae loan limit is considered a “jumbo loan”, and it will carry a higher interest rate than a Fannie Mae loan. Another way to distinguish a Fannie Mae mortgage from others is the time and costs involved in getting one. When developing mortgage products, Fannie Mae works to reduce down payment requirements and cut closing costs, so more dreams of homeownership can come true. That’s why we provide technology tools for Fannie Mae approved lenders to use when providing mortgages to home buyers. These tools can help borrowers get their mortgages quicker and cheaper. When shopping for a Fannie Mae mortgage, ask whether you can get it approved and processed fast — and with possible costs savings — using Fannie Mae’s Desktop Underwriter®. Fannie Mae owns, manages, and has available for sale, single-family detached homes, two- to four-unit properties, condominiums, and townhouses in a variety of neighborhoods. The number, type, and sales price may vary substantially. The homes vary in age and may require repairs. Fannie Mae homes are sold through local real estate brokers whose contact information is provided in the Fannie Mae-owned Properties Search results under Resources on fanniemae.com. Fannie Mae’s signature low down payment product, the Community Home Buyer’s Program lets you use a greater amount of your monthly income toward housing costs compared to other standard mortgage products. Requires a down payment of only 5 percent. You do not need one month’s mortgage payment, or cash reserves, in your savings account when you go to closing. Provides expanded debt-to-income ratios. You may use up to 33 percent of your gross monthly income for housing expenses each month (instead of the standard 28 percent) and 38 percent for your total monthly debt expenses (instead of standard 36 percent). Borrowers will typically get a second mortgage to tap into the equity they’ve built in their home — and use that for home improvements, debt consolidation, medical bills, or other purposes. You apply for a second mortgage with the same process you follow for a first mortgage. However, some of your closing costs may be less. Developed by the Federal Housing Administration (FHA), the HECM mortgage provides a cash growth feature not found with some other reverse mortgages — check with your Fannie Mae approved lender to see how this works based on your personal needs and your payment plan. You must own your home outright — or carry a small mortgage balance. Eligible properties include a single-family home, a two- to four-unit dwelling, a condominium or a manufactured home. All housing types must meet Federal Housing Administration (FHA) guidelines. (Ask your lender if your property qualifies. The inspector bases the findings on observable structural elements of the home. Potential home buyers are urged to be present during the inspection — this will allow you to ask questions and be in a better position to learn more about any problems that arise. Homeowner’s insurance &$151; also called “hazard insurance” — should be equal to at least the replacement cost of the property you want to purchase. Replacement cost coverage ensures that your home will be fully rebuilt in case of a total loss. Homeowner’s insurance (also called “hazard insurance”) is required and should be equal to at least the replacement cost of the home you want to purchase. Replacement cost coverage ensures that your home will be fully rebuilt in case of a total loss. Most home buyers purchase a homeowner’s insurance policy that includes personal liability insurance (though this personal liability insurance is not required) in case someone is injured on their property; personal property coverage for loss and damage to property due to theft or other events; and dwelling coverage to protect the house against fire, theft, weather damage, and other hazards. If the home is near water, you may be able to get flood insurance as part of your homeowner’s protection. In fact, it may be required in some areas, so check with your real estate professional or an approved lender for further information. This mortgage gives you the financial power to build your own home — you can borrow money to build a home from the ground up or to finish building a home that’s currently under construction. This loan provides financing from the construction through the purchase phases of your new home. The interest rate is the rate of interest that is in effect when the monthly payment is due. An interest rate ceiling — for an adjustable-rate mortgage (ARM) — is the maximum interest rate, as specified in the mortgage note; the interest rate floor is the minimum interest rate, as specified in the mortgage note. The current loan limit for a single-family home is $ 417,000. * The maximum amount for any mortgage in Alaska, Hawaii, and the U.S. Virgin Islands is 50 percent higher than our loan limits in the rest of the country. Generally, any mortgage above this limit is considered a “jumbo loan,” and will carry a higher interest rate. The amount of money you would save buying a home with a 30-year mortgage financed by Fannie Mae can range from several thousand dollars to as much as $24,600 over the life of a 30-year mortgage. *The loan limit is $533,850 for a two-family home; $645,300 for a three-family home; and $801,950 for a four-family home. You can get a good feel for the market value of a home by asking whether the listing agent compiled a “comparative market analysis” (CMA). This written report on the property examines comparable homes in the area that have recently been sold, are currently on the market, or are currently under contract. The note lists any penalties that will be assessed if you don’t make your monthly mortgage payments. It also warns you that the lender can “call” the loan — demand repayment of the entire loan before the end of the term — if you violate the terms of your mortgage. Utilities, such as gas, oil, water and electricity. Any amount that is paid to reduce the principal balance of a loan before the due date — such as the sale of the property, the owner’s decision to pay the loan in full, the owner’s decision to pay additional money every month to lower the principle or interest — is considered prepayment. However, these guidelines can be exceeded in certain cases, such as borrowers with a good credit history or with a larger down payment. Also, certain types of Fannie Mae mortgages, such as our Fannie 97®, Fannie Mae 3/2TM, and Community Home Buyer’s®Program, let you use a greater amount of your income towards your housing costs. Typically, you can spend up to 33 percent of your income on housing costs each month for these mortgage that are available through most approved lenders. In order to get a Home Keeper®reverse mortgage or a Home Equity Conversion Mortgage (HECM), you must receive counseling that explains how the financing option works. When working with an approved lender who uses Desktop Underwriter® — our advanced automated underwriting system — a number of costs associated with your closing may be reduced, including mortgage insurance, appraisal fees, and credit report fees. Encumbrances include any liens — legal claims against a property filed by creditors as a means to collect unpaid bills. Liens can also be filed by the Internal Revenue Service for nonpayment of taxes. Any such claims must be paid by the seller — this often occurs either before or at the closing. The VA guarantee allows qualified veterans to buy a house costing up to $417,000 with no down payment. Moreover, the qualification guidelines for VA loans are more flexible than those for either the Federal Housing Administration (FHA) or conventional loans.